Bilingual Vietnamese-English This is the legend of the Sword Lake, Hoan Kiem lake, downtown Hanoi, Vietnam. the story tells you about the holy turtle gave the King the sacred sword to help him to protect the country againts the chinese invasion. After winning the war, the King retured the sword in this lake. The lake is still there and becomes the symbol of Hanoi with Jade temple and Turtle Island. 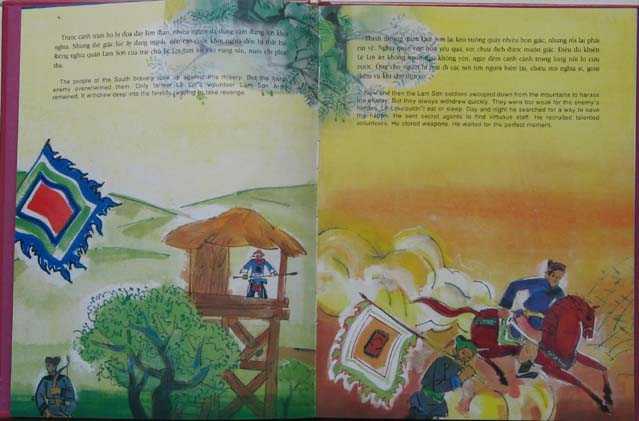 Vietnamese Folkore Picture Book. Hard cover.